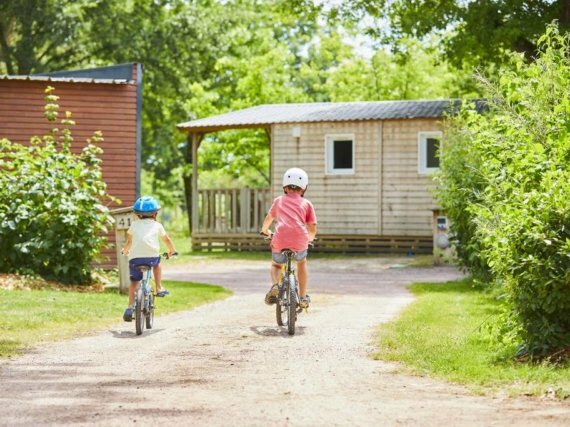 Within our campsite the Lac de la Chausselière***, we offer a whole range of activites that will allow you to relax and to you entertainment with your family or your friends. So come along and have some fun with your family and friends ! Enjoy our covered and heated swimming-pool from th 4th April to the end of September. The pool is ideal for swimming a few lengths or for having fun with your children with his ambiant water. After your swim you can relax on a sunlounger on the poolside. The campsite have a playground for your childrens for they can be entertained and share fun times with other children’s. 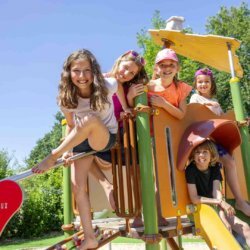 The playground comprising slides, ladders, monkey bridges and 2 trampolines (one big and one small) is a great place for the children to make new friends. After a good swim in our covered and heated swimming pool, nothing is better to share friendly moment, playing a game of table football, molkky, pool or puck. Organize matches in happy atmosphere ! We have a multisports court available for you, for lovers of football or basketball. 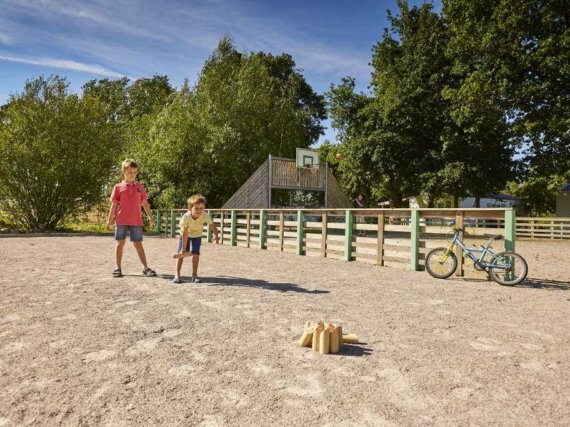 Of neither of these sports if you don’t like, the campsite also boasts a petanque ground and table tennis table. Finally, the reception of our campsite offer you a loan service for books or board games for to relax or share a great time in family. Our host will make your days and parties the most pleasant possible. Join in the fun and games adapted for all ages. 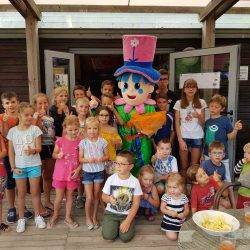 Younger children can meet at the kids’ club, teenagers can enjoy sports tournaments and the whole family can join in the music quizzes, tournaments or a late night swim at the pool on a Friday. 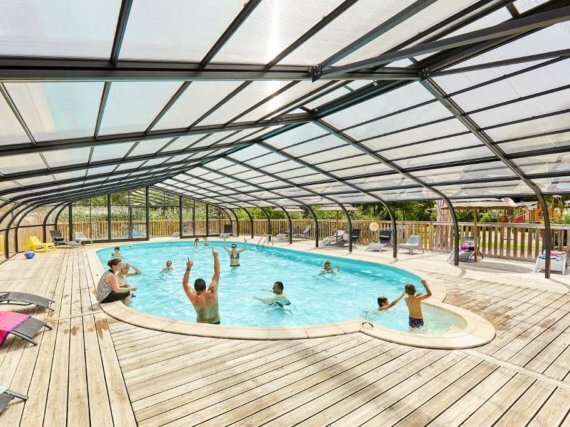 At the foot of the campsite, access the Lac de la Chausselière by a privileged space and enjoy its many water sports and outdoor activities thanks to the leisure center. For fishing enthusiasts, this is the ideal place ! We have a lot of path for stroll and breathe the fresh air vendeen !